You can’t help but be impressed by how much it represents a natural, even defensive evolutionary step on its creator’s part. 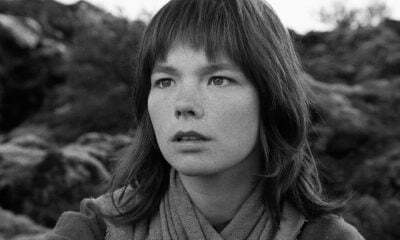 In disproof of the accepted wisdom that every gay college boy in the late ‘90s was fully under Björk’s spell, I once found myself engaged in an argument with the one who wasn’t. A die-hard choir geek with a classically trained, unwavering tenor voice, my nemesis reacted to her Oscar-night performance of Dancer in the Dark’s “I’ve Seen It All” with the dictum, “You can’t sing like that!” While at the time I assumed he was arguing against any form of vocalization that wasn’t delivered in full, round, blemish-free tones as aesthetically inferior, that creating emotional landscapes to him took a back seat to polishing all edges, the years have altered my take on the exchange to the point where I’m willing to concede that he likely meant that Björk’s shrieks, wails, and epiglottal swoops would eventually take their toll, and eventually she’d be left with nothing more than a throaty honk to go along with that swan dress. Now well into her third decade of performing, time has at least partially proven choir boy right. 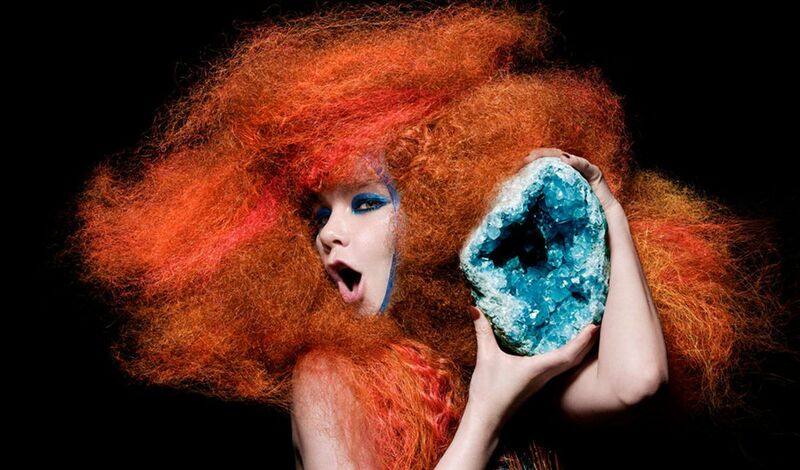 Björk’s instrument is an elaborate congregation of nodules and quavers, a nest of fragility where there once stood a fortress of dynamism. But while Biophilia remains a stubborn chore of an album even accompanied by those iPad apps and, now, with the last performance from the LP’s concert tour preserved in Björk: Biophilia Live, you can’t help but be impressed by how much it represents a natural, even defensive evolutionary step on its creator’s part. The songs may be fussy, meandering, and ludicrously oversold as expressions of the universe’s biological building blocks. (With apologies to Holst, what songs wouldn’t be?) But behind the projected video installations, descending Tesla coils, and massive pendulums strung like giant robotic harps is a set list that emphasizes friability and dependence, delivered by a singer as though she’s deliberately trying to return her vocal cords back to the elements. An ostentatious opening narration by none other than Planet Earth’s David Attenborough posits that the Earth’s “colors and forms, perfumes and smells, the taste and touch of salty wind on the tongue” are basically trying to do the nasty with your senses. But as a friend once said derisively about Medúlla’s opening track, the pleasure is all Björk’s indeed, at least for the opening stretch. Featuring an Icelandic girl choir, one percussionist and a knob twiddler, the show (filmed at London’s Alexandra Palace) dwells within Biophilia for so long that the crowd’s relief at the opening chords of “Hidden Place” isn’t just palpable. It’s downright desperate. It takes a long while to peel back to that aforementioned level of vulnerability, and even then, it’s ultimately retracted when she closes the main program by urging her audience to dance and sing along to…nope, not “Hyperballad” or “Violently Happy,” but the 5/4 alt-fusion jam “Náttúra” and “Declare Independence,” Björk’s national anthem of atonal thrash. “One day, it will happen. One day, it will all make sense,” she croons during a gorgeous duet with a set of inverted steel drums. Maybe, maybe not. You could be a skeptic like that humorless tenor, or you could just continue submitting to the woman wearing a Bozo-Einstein wig and an Iris Van Herpen dress that looks like it was made out of squid breasts. And I think you know which choice will make you a happier person.